Spice up your morning commutes or your afternoon cruises with this Taz themed steering wheel cover. Add a custom look to your interior while protecting your hands from hot and cold extremes. The molded core stretches snuggly around steering wheel and features colors that will not discolor or fade. 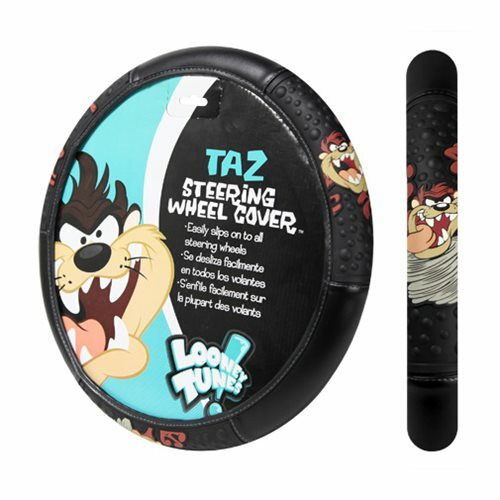 This Warner Bros. Taz Attitude Steering Wheel Cover will fit in seconds on most cars, trucks, and boats and measures approximately 15 1/2-inches x 14 1/2-inches.